The quality of pavement sealer directly impacts the longevity of a sealcoat application. If the sealer is a low solids material (watered down) then durability will be compromised. 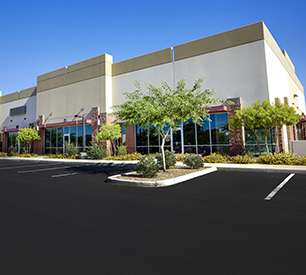 Be sure to specify quality pavement from a reputable pavement sealer producer such as SealMaster. 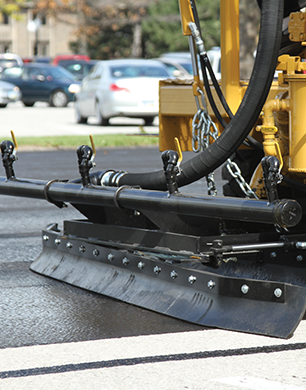 SealMaster quality pavement sealers are available coast to coast and are applied by the industry’s largest pavement professional contractor network. A properly mixed sealcoat should contain sand and possibly a polymer additive. Sand provides traction and safety for both vehicle and pedestrian traffic. Sand also provides added durability to the applied sealcoat product. Be sure to specify the use of sand for your sealcoat project. Two coats of sealer should always be applied to achieve optimum sealcoating results. Allow the first coat of sealer to dry thoroughly before applying the second coat. Allow final coat of sealer to dry and cure for at least 24 hours prior to opening to traffic. Just as important as the number of coats applied, is the amount of sealer applied per coat. The application rate and coverage rates must follow manufacturers recommendations to achieve successful results. The amount of daily wear from traffic will also affect the longevity of sealcoat jobs. High traffic volumes will result in faster sealer wear. Typically, a third coat of sealer is recommended in high traffic situations. Regions that are susceptible to harsh winter weather will experience faster sealcoat wear. Large amounts of moisture, freeze/thaw cycles and snow plowing are just a few of the factors that can affect sealer longevity. Typically, sealcoating is recommended every 3 years to provide adequate pavement protection as well as attractive curb appeal for your commercial property or home. Your SealMaster pavement professional can provide the best possible pavement maintenance plan for your unique situation.